Mr. Frank L. Hayes is the Founder, President and Managing Director of Hayes & Associates CPA and Consulting Firm. The firm was founded in 1983 in Omaha, Nebraska. Frank Hayes was inducted into the Omaha Business Hall of Fame during the spring of 2009. Hayes & Associates currently serves over 600 clients and has historically experienced double-digit growth and expects that to continue. For more information, please visit www.hayes-cpa.com. How do you choose or hire ethical employees? You try to ask questions that go to the core of who the person is. We’re an accounting firm, and so were looking for a certain skill set, but we’re also looking for people who have integrity. And there’s different ways of showing that, you can ask them questions about some of the activities that the prospective employee has been involved in, what kind of things are they passionate about, what kind of things really cause them to question whether or not they are going move forward in a certain direction . We actually have an employee who left their previous employer because she didn’t agree with something that was going on there. I didn’t ask her what it was, but she was willing to volunteer that it was the reason she left. So, we just try to ask questions that really challenge the person’s belief system, and how they think about things: what things are important to them, what things are not so important, and from that we can somewhat gauge whether or not the person has good ethical perspectives. But sometimes it’s really a crap-shoot, you just don’t really know for sure, particularly with a younger person where their positions may not have been fully formed and therefore it may be difficult for a person to respond to those questions. We really just want to know about who that individual is, how do they think, and how they go about making decisions in addition to having the skill. Is there something different “in the water” in Omaha? I can’t really answer the question; yes there is, or no there isn't. My experience tells me that the businesses in Omaha tend to have a greater appreciation for ethical behavior. It doesn’t necessarily mean that it is always the case, but I think there is a general appreciation. The word that comes to mind is credibility. I believe that most people here in Omaha want to be in the position of doing what is correct and consistent, and that you do what say you are going to do. I think across the country everyone has an aspiration to have an ethical enterprise, but because of other constraints, business may not be conducted ethically. I don’t know if it’s the area they are in, their up-bringing, or the way the community is set up, or the profit motive driving every decision.  Omaha has a strong business climate that allows people with good ideas to grow and thrive, and I think the environment for business is good all around. And there is a strong commitment to give back to the community. And so the people that go into business tend to be… they want to be successful and they try to do it in a way that matches the environment that they are in. Strong ethics are a significant component of being successful here in Omaha. I'm not sure whether I can say it is different, but depending on what part of the country you are in, there may be a higher emphasis on things other than ethics. For instance in Nebraska, because we’re in the Midwest, we don’t have a lot of the ups and downs from an economic perspective that may occur on the coasts and in some of the larger cities. We are pretty stable. Expectations for monetary gain are there, but not as high as they might be in some of the other areas of the country. We tend to not overly focus on how much money we are making, and unfortunately, sometimes money is the driver behind unethical behavior. You could find places where people are just geared to making money, and they don’t care how they make it. They don’t really care who they step on or who’s in the way, they just want to make money. I think in Omaha, we want to be successful, we want to have profitable businesses, but we also want to do it in a way that respects people. I’m not sure if I could characterize it as better, it’s just different. Do you have a specific code of conduct? If so, was it very time consuming to implement. We do have a code of conduct for our employees. We try not to dictate every possible behavior, but hopefully those behaviors that will allow our employees to present themselves in a professional and credible manner. So as they go out and meet with clients and other professionals or people in general, they are always portraying that professionalism and sense that we are an organization that wants to be a long term player in the business community. One of the things that could really damage an organization is if they there is unethical behavior and it becomes public knowledge. So, we do have a code of conduct, and it’s fairly informal. We didn’t hire a firm to come in and help us develop it; it was sort of a brainstorming session that then resulted in a code of conduct. We had everybody in a room and talked about what their perspectives were on ethics and how that all works in our environment, and then from that we developed a code of conduct for our organization. In terms of staff time, it may have been somewhat expensive, but we didn’t hire an outside consultant, so the overall out of pocket expense was really not that great for us. Was it difficult or seamless to implement the code of conduct? Was it easy to find ethical employees? It was difficult, because people are reluctant to state their views at times. Some people who have strong beliefs won’t express them because they’re afraid it might offend someone else. So the hard part was getting people to open up. Also, even if they have strong positions, they may discuss them in a one on one discussion, but in a group setting it’s sometimes a little more difficult. You have to draw that out of them. Once established however, it was fairly easy to implement. Do you have any training programs in place for employees? There are no internal programs, no. As a CPA firm; we’re required to obtain ethics training every 2 years. We generally require every staff person to receive at least 4 hours of formal ethics training every 2 years through external classes. Internally, we try to find examples where you can teach, for instance at one of our staff meetings, we will describe an example of something that came about and here is how we handled it. Have your ethical standards always been in place, is it something that struck you? A number of things that occur at the firm are based on my own personal perspective and background. The way you conduct business is constantly evolving, but I would say the idea of being an ethical firm is a constant. To me it has always been a good business practice because if you’re not making ethical decisions, you may take a short range approach and do something to get you over the hump, but then regret it in the long run. We’ve always thought long term about our firm and what do we need to do to sustain ourselves over time. So ethical behavior was one of the key elements of that, but our thinking of how to prescribe it has evolved over time. The world is constantly changing. For instance, with the advent of all the networking sites like Facebook or MySpace, is it ethical for an employer, like Hayes & Associates, to go to someone’s Facebook page and check out what they’ve written? Is that ethical? Some people may say yes, some people may say no. Now, when I started Hayes & Associates, that wasn’t even a question. So, you have to evolve with the times and then you have to continually ask yourselves the question of what is and what is not acceptable. For instance, is it ethical if you offer someone a position and then and you find something on their background check that questionable even if it is not directly related to the job. Do you still hire the person? These are the questions we deal with on a regular basis. So I guess what I have to say to you is I’ve never said it’s in stone, because if you put something in stone it’s hard to change it, but we hopefully have a different approach, which is as circumstances change, the core is still there but what is or isn’t ethical becomes a little more blurry and we consider it in that light. Have you ever had an ethical crossroads, like a specific situation happen? audit of their books. Sometimes it’s just a difference of opinion. We've also had situations where people shop for audit reports, they shop for opinions and we just don’t do that. We try to avoid these types of cases as best we can, and in most cases we can reach an agreement, but there are some people that insist on taking an approach that we cannot abide by, so we just have to walk away. We don’t walk away on a daily basis but we have situations that occur regularly where we have to exercise good judgment in determining how to react to these types of situations. Do you think taking that stance has helped you stay around for as long as you have? I think it’s enormously important to our reputation and the long-term viability of your business. If you are seen as a firm that believes in something and is willing to take a hit if that belief is challenged, then I think that serves you well in the long run. What influences you to be as ethical as you are? I think to a large extent it’s my upbringing. My family, what they’ve taught me. I think that’s key. Also, while I was at Creighton, it was my first exposure to a formal ethics class, and even though it was an interesting class, it was sort of odd because the individual who was teaching the class didn’t spend a lot of time teaching ethics. I also took philosophy classes, theology classes, and that type of curriculum forces you to start thinking about life in color, rather than black and white. So I was really challenged as to what is right and what is wrong and I think that in business there’s an enormous potential to really lose sight of that because we focus so much on the bottom line. So I remind myself regularly of the need to keep that front and center to my decision process. Some people believe that money solves everything, and it is hard sometimes to fight that perspective.  So I think with me it’s my upbringing, going to Creighton, and one other thing: I believe that It is very important for the long term success of a business to have ethical behavior, because if you don’t, you’re going to fail, that’s my opinion. Have you seen other companies around here fail because of ethical standards? I can give you a big example. I think Arthur Anderson failed because of that. I seriously thought they were too big to fail. The primary reason they failed because they lost sight of their responsibility to the broader community. The most important products that we have to sell is our credibility, integrity, and our independence, and if you lose that, you have basically lost the core of your business, and that’s what happened. What is the biggest ethical challenge faced by a young business professional today? Being able to filter the enormous amount of information coming at you on a daily basis. In the age of technological advances and instantaneous communication, is sometimes hard to determine what is important and what is not so important. When I was growing up, it was a lot simpler because you just didn’t have so much coming at you all at once. The second thing I would say is, and this is nothing new, is greed. I honestly believe that is a big challenge for people because it gets in the way of good decision-making, and so when you lose that perspective your decisions are most likely flawed. Do you think that the recent coverage of the financial crash and Arthur Anderson, for example, will affect our ethical standards in a positive or negative way? Yes, on both accounts. The underlying economic collapse we’ve had over the last 23 months has caused people to think more before making financial decisions. Before, it seemed like the flood gates were open and everyone was rushing in, taking advantage, trying to make a quick buck. Now we’re thinking, “Where is this actually taking us, what is really going to be the end result,” and that’s great, because if you think more about the future, then I think you will make better decisions. So yes, I think that it will, hopefully, have a positive impact on ethical behavior in the future. Do you have any mentors in business that have led you to be who you are now? This is a corny story but I’m going to tell it anyway. When I was in High School, I was working at a grocery store here in Omaha. That was my first real job, a sacker in a grocery store. I came up from the south, from Mississippi. I was 16. The manager of the store had enormous integrity, because there was something going on in the store that was not correct. People were taking advantage of certain situations, and it was profound, a lot of people were stealing, and he knew it. So he could have conveniently and easily fired everybody and said I’m cleaning house, but what he did was sit down and interview every person. And I thought, in hindsight, that we’re sackers, we’re a dime a dozen; but he took the time to sit down and really talk to each individual and determine their character. He kept two out of the ten sackers and one was me. The reason I think he kept me, although I wasn’t doing anything wrong, was because he saw in me the same belief that he had in himself about right and wrong. I always remembered that he could have easily gotten new people. Now when I get into a situation, I don’t immediately jump to conclusions. I always want to know more. I always want to investigate and know what is really going on, because what you see in front of you may not exactly be the case. You might need to go further and ask more questions. So I’m not one of those black and white type of individuals that make a quick decision. I always want to know more and to me that’s what being ethical is about, taking the time to really think about what you are doing instead of jumping to a conclusion too fast. You don’t want to be so rigid that you make a decision strictly based on information right in front of you. He was important. Another person was my first supervisor at the IRS, my second job; he’s still there as a matter of fact. At the IRS you can be very authoritarian and you can jump all over people, and the taxpayer sometimes feels helpless in this process. He preached to me that our job was to find the right answer, not to berate people or to accuse them of wrongdoing, and even if that right answer meant the person was due additional refunds as a result of our audit, that’s ok. Whether the person wasn’t doing everything totally correct or not, as long as you conducted yourself professionally and did your job, that what was important; it wasn’t to find something wrong. I thought that was a very important lesson because there were people at the IRS at that time that didn’t have that mentality. Their mentality was that everybody’s a crook and I’m going to go out and find them. My mentality was to go out and find the right answer, and I think that’s very important. I think that’s how I’ve lived during my professional career. And that is the true test of being an ethical person.